Michael C. Blumm is a contributor to Writers on the Range, the opinion service of High Country News. He is Jeffrey Bain Faculty Scholar and Professor of Law at Lewis and Clark Law School, where he teaches public lands law, among other natural resources courses. Late in his second term, former President Barack Obama expanded the 53,000-acre Cascade-Siskiyou National Monument in southwest Oregon by about 48,000 acres, getting it closer in size to what scientists had recommended for years. Established by former President Bill Clinton in 2000, the monument’s principal purpose is to preserve the biodiversity of a diverse crossroads of eco-regions, ranging from desert and grasslands to mountains and coastal forests. The expanded monument, which is less than one-fifth the size of Rhode Island, functions as a biological land bridge, providing a gateway for numerous species, including the Pacific fisher, mountain lion, northern spotted owl and about 200 other bird species. Along with protecting the area’s biodiversity, the monument’s 2008 management plan also allowed recreational hiking and rock climbing. It did not prohibit selective logging or grazing as long as both remained consistent with the monument’s purpose. But all along, the original monument was clearly too small to protect its resources, especially in light of the rising temperatures associated with climate change. In 2011, an interdisciplinary scientific group concluded that population pressures, adjacent land uses, and climate trends made the initial boundaries inadequate to safeguard the very biodiversity the monument aimed to protect. The review culminated in a letter signed by 85 scientists that called for expanding the monument. A contractor sorts logs at the landing on Board of Forestry land in southern Oregon. After more discussion, debate, introduction of Senate legislation protecting the area, more research and public meetings, the Obama administration settled on an expansion of 48,000 acres. This included 5,000 acres in California, although scientists had recommended an even larger amount. When Obama announced the expansion Jan. 12 under the authority granted him by the Antiquities Act, it was welcomed by many local residents, regional mayors, city councils, and the chambers of commerce in Ashland and Talent, Oregon, the two cities closest to the monument. Support also came from the state legislators in whose districts the original monument was located, the Klamath Tribes, and Oregon Democratic Gov. Kate Brown. In addition, at four public meetings, hundreds of people supported the proposed expansion, and public comments received by Oregon Democratic Sen. Jeff Merkley ran three-to-one in favor of expansion. This was no “midnight monument” created without the participation of important stakeholders. It concerned only public lands managed by the Bureau of Land Management. No private lands were taken. All valid existing rights were expressly protected. But recently, Oregon’s timber lobby attacked this well-vetted and well-reasoned monument expansion, filing three lawsuits in federal court to overturn it. The American Forest Resources Council, the Association of Oregon and California Counties, and the Murphy Company argue that the expansion is unlawful because some of the public lands are administered under the Oregon and California Lands Act of 1937, and therefore cannot be protected under the Antiquities Act, the law used by both Republican and Democratic presidents to establish national monuments for over a century. Instead, the timber interests maintain that the lands must be used solely for logging. This argument is critically flawed. The 1937 act’s language, history and interpretations from government lawyers of both political parties indicate that the federal government has sufficient discretion to manage these lands for multiple purposes, not just timber production. The statute’s purposes include “protecting watersheds, regulating stream flow, and contributing to the economic stability of local communities and industries, and providing recreational facilities.” This 80-year-old law was, in fact, one of the first congressional expressions of multiple-use. The monument’s expansion is entirely consistent with the law. 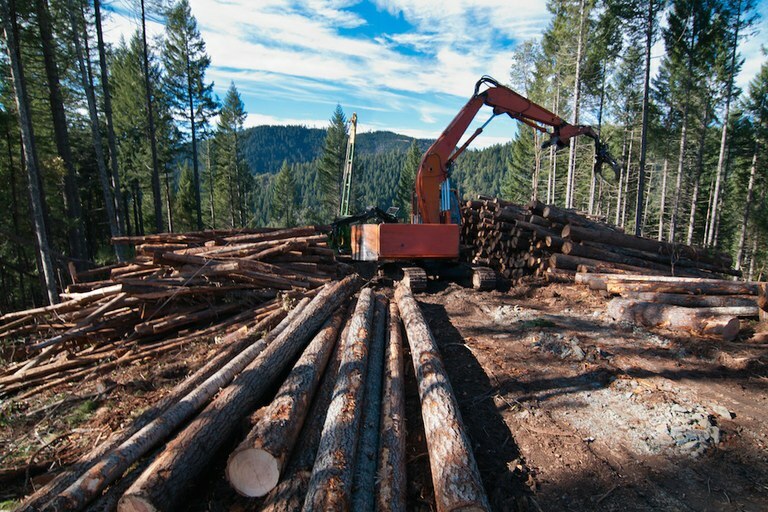 In fact, the BLM has already placed roughly half of the Oregon and California Lands Act territory in the expansion off-limits to scheduled timber harvest to protect these statutory purposes. The expanded Cascade-Siskiyou National Monument has been a gift to all Americans. There is no reason to turn its expansion into saw logs.